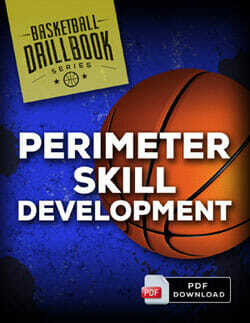 The purpose of this drill is to teach players to work on ball handling while protecting the ball from aggressive defenders. 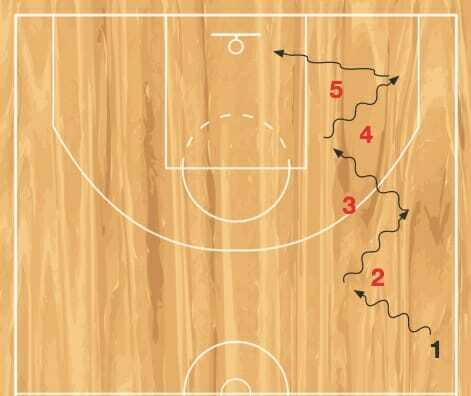 Form a line of 4-5 players from the corner of the half court, 45 degrees towards the hoop. Players are spaced out. Player farthest from the basket starts with a ball, facing the gauntlet of defenders between them and the hoop. Player dribbles and weaves in between the line of 4-5 defensive players, protecting the ball as the defenders make attempts to knock it loose. Defenders are glued to the ground and may not leave their standing position. 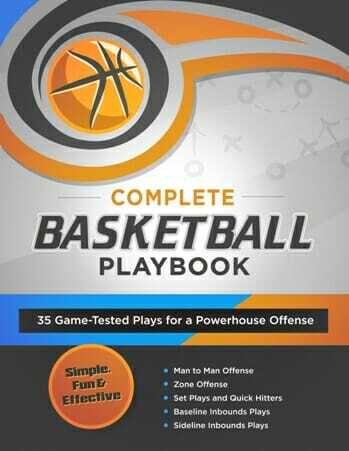 Offensive player goes through the gauntlet to the basket and makes a layup, then taking the last position in the line, as all players move up. 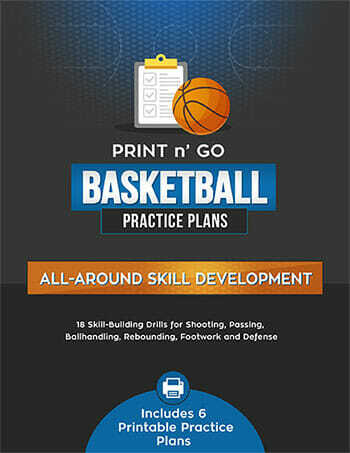 – Run this drill at both ends of the court, and test your ball handlers ability to drive through traffic. 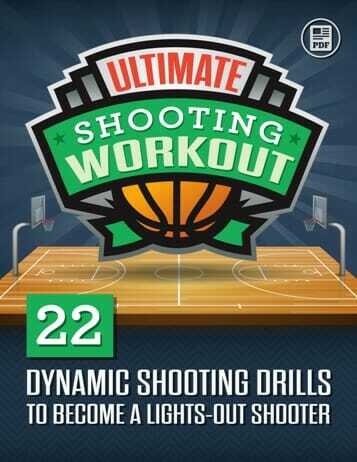 – For fun – encourage parents or injured players to take part in the drill as pesky stationary defenders. If you want cut down your turnovers, improve your ballhandling, and develop a crisper, more effective offensive attack – then the Perimeter Skill Development Drillbook is just what your team needs!